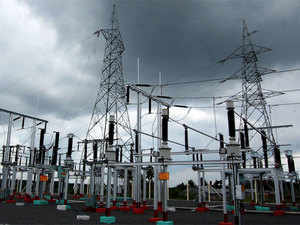 NEW DELHI: State-owned Power Finance Corporation (PFC) on Thursday will make the entire payment of Rs 14,500 crore to the government for acquiring 52.63 per cent stake in REC, a source said. “The entire consideration of Rs 14,500 crore for acquiring 52.63 per cent equity of Government of India will be paid by the PFC through RTGS (real-time gross settlement) mode on March 28, 2019,” the source privy to the development told PTI. The source said PFC Chairman and Managing Director Rajeev Sharma will hand over the RTGS advice to Power Minister R K Singh on Thursday to mark the conclusion of this acquisition deal and the money would be transferred to the government’s account. PFC has raised money from Bank of Baroda, Life Insurance Corporation and State Bank of IndiaNSE 1.93 %, among others, to make the payment, the source added. Earlier on March 20, PFC had inked a share purchase agreement to acquire 103.94 crore equity shares of Rs 10 each of REC Ltd. This deal was in pursuance to the in-principle approval from the Cabinet Committee on Economic Affairs for strategic sale of 52.63 per cent of paid-up equity shareholding of REC held by the government to PFC, along with transfer of management control. Both PFC and REC are navratna central public sector enterprises with a combined annual revenue of about Rs 50,000 crore and this acquisition is a step towards consolidation of companies operating in the same space. PFC has bought REC share at Rs 139.50 per piece with total acquisition cost of about Rs 14,500 crore. The convergence between the entities as combined group entities would help the power sector reap benefits from a decentralised outreach of REC and a professional project finance expertise of PFC. Further, the ensuing diversification of assets of the group as well as portfolio risk would help in resolution of the stressed power sector assets of the group in a better and coordinated manner.